The Circus Train is an exciting ride for the smaller children. 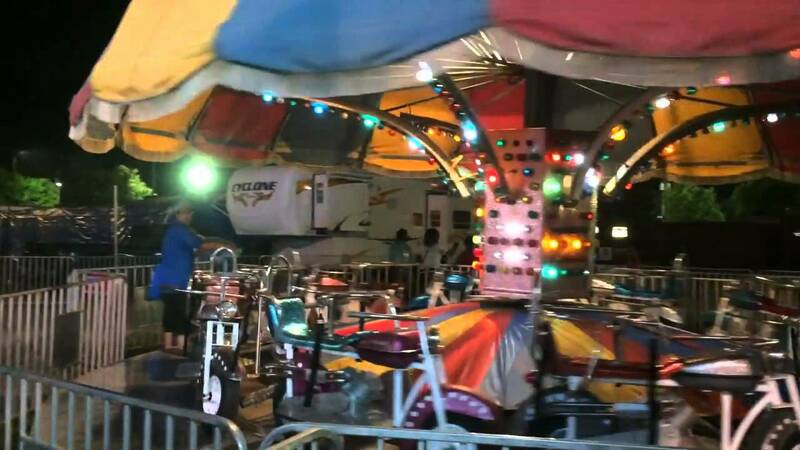 With a twisting turning track with flashing lights it generates many memoriable smiles. You must be 36" tall or taller to ride - with or without adult. Nobody over 60" tall can ride. Farm Tractors has been completely refurbished this year. 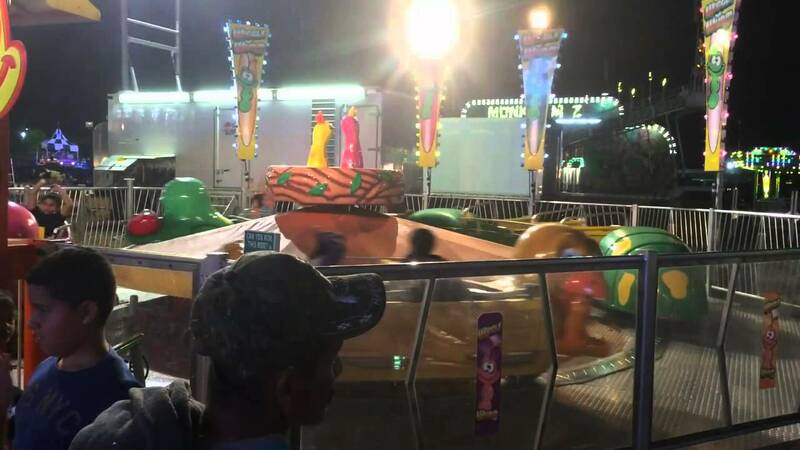 This is a very popular ride for the young who enjoy the adventure af the farm and agriculture. You must be 36" tall or taller to ride alone. Riders under 36" tall must have an adult. Completely refurbished in 2017 the Granny Bugs takes passengers on a bumpy path! The Monster Trucks, which has a full refurbishment in 2018, is a spectacular kiddie ride that lets kids drive their very own monster truck. 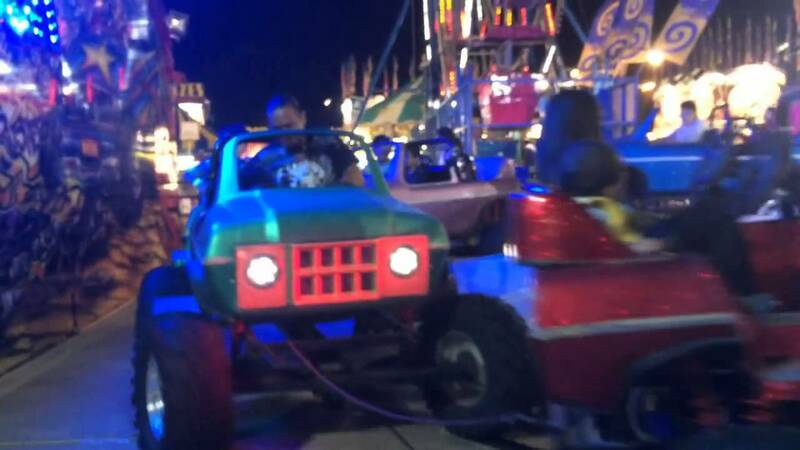 Kid's will laugh at the opportunity to be able to drive over the top of a pile of smashed cars and other cool obstacles. Junior bikers love the Motorcycles. Riders are able to control the horn on their motorcycle as they go around the circular track. You must be 30" tall or taller to ride alone. Riders under 30" tall must have an adult. 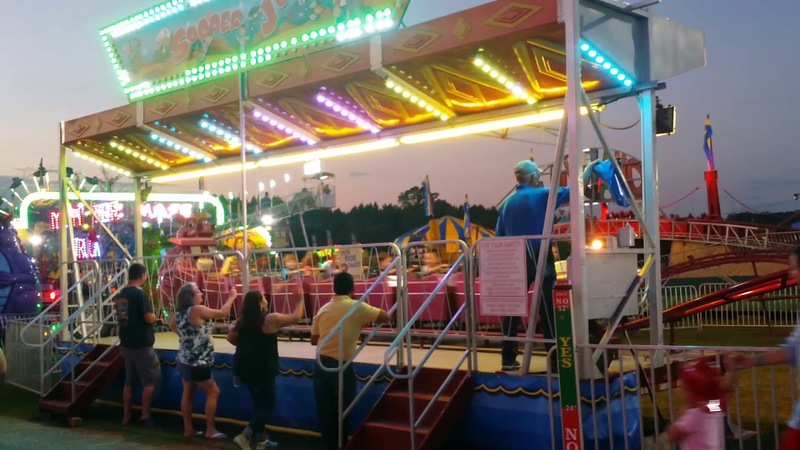 The Sooper Jet is arguably one of the most popular kiddie rides on our midway. Kids love our Jet themed roller coaster which features dips and hills that are just the right size for the little ones! 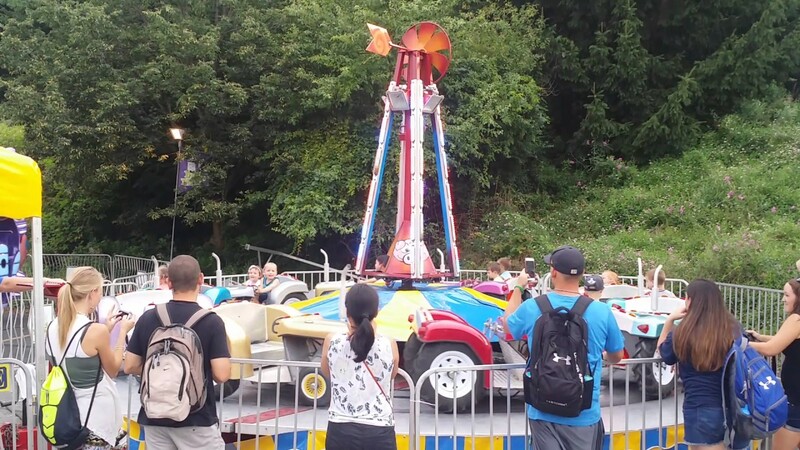 This ride was completely refurbisished in 2017. You must be 42" tall or taller to ride - with or without adult. The Wiggle Wurm, completely refurbished in 2018, is a cute children's attraction in which kids get to ride on the bird or a worm, which is constantly being chased by the bird in a circle! The worm actually slithers around the circle with a up and down motion. To add to the rider's enjoyment, there is also an on-board audio system which plays fun bird sound effects and a theme song! We are a midway that you can be proud of and your patrons will come back for.